Many satellite data users lack the expertise, infrastructure and internet bandwidth to efficiently and effectively access, preprocess, and utilize the growing volume of space-based data for local, regional, and national decision-making. Furthermore, even sophisticated users of EO data typically invest a large proportion of their effort into data preparation. This is a major barrier to full and successful utilization of space-based data, and threatens the success of major global and regional initiatives supported by the Committee on Earth Observation Satellites (CEOS). As data volumes grow, this barrier is becoming more significant for all users.  Countries and international organizations have expressed a desire for support from CEOS to facilitate access to and processing of satellite data into CEOS Analysis Ready Data for Land (CARD4L) products. Systematic and regular provision of CARD4L will greatly reduce the burden on global satellite data users. The definition of CARD4L is not exclusive or prescriptive. The definition of CARD4L reflects the attributes of fundamental measurement products for the majority of global remote sensing users with land imaging applications, and are the minimum level required to support time series analysis and data interoperability. Assess how well the specific product complies with each of the metadata and calibration criteria in the Product Family Specification. Includes a description of ‘how’ it complies. Data collected with multispectral sensors operating in the VIS/NIR/SWIR wavelengths. These typically operate with ground sample distance and resolution in the order 10-100m however the Specification is not inherently limited to this resolution. Data collected with multispectral sensors operating in the thermal infra-red (TIR) wavelengths. These typically operate with ground sample distance and resolution in the order 10-100m. Data collected by Synthetic Aperture Radar (SAR) sensors. Polarimetric and interferometric SAR PFS are also being developed. These are expected to be complete by early 2019. The CEOS Land Surface Imaging Virtual Constellation (LSI-VC) served as the forum for developing the CEOS Analysis-Ready Data definition. CARD4L underpins a large amount of the future data architectures work being progressed within CEOS. The CARD4L definition was endorsed by the CEOS Plenary in 2016.